In defining its strategy for 2018-2022, RTÉ must consider the interests of people in Ireland. It must also take stock of the dynamics of the media industry and RTÉ’s position as it comes to the end of its first fiveyear strategy for 2013-2017. The Irish media environment has never been more competitive. RTÉ is now operating in an environment where new transnational and global competitors are investing significantly in content and technology to gain market share. They are not subject to the same accountability as the regulated media industry and do not have the same focus on distinctive high-quality Irish content or command the same levels of trust as PSM. The future is not about the demise of linear media in favour of an on-demand world. It is far more complex. RTÉ, like many media organisations across the world, must adapt to survive and thrive in an environment that will remain in flux for some years to come. Functions will come together in a new ‘One RTÉ’ structure. The Audience, Channels and Marketing division will combine television, radio and online channels, as well as marketing and audience insights to bring audiences to the heart of RTÉ’s decision making. The Content division will allow RTÉ to deliver the most compelling programming across television, radio and digital channels – creating bigger impacts and allowing RTÉ to address bigger themes and topics in more engaging ways. A new integrated Operations division will streamline production processes, allowing RTÉ to do new things and meet new audience needs. News and Current Affairs resources will be reallocated and structures changed to deliver a digital-first news service alongside broadcast news and current affairs output. Overall workforce numbers are being reduced through a voluntary redundancy scheme and some new skills will be added to RTÉ’s existing pool of experience and talent. RTÉ will create a more collaborative working environment and some teams will be re-located across the Donnybrook campus. RTÉ will transform the way it works with others and build new partnerships that offer real public value and impact. Significant investments will be made in new technology, digital production and distribution infrastructure. The restructuring and related investments will be funded from the proceeds of RTÉ’s sale of land assets in Donnybrook. RTÉ will fully transition to the new structure in 2018. 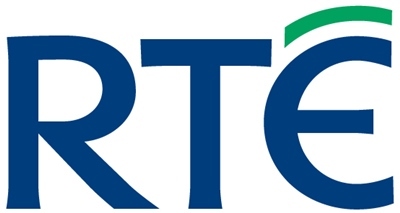 The ‘One RTÉ’ leadership team was completed and the next level structure was announced in August 2017. Appointments, where required, will be made in Q1 2018. Reporting against the new structure will begin in 2018.